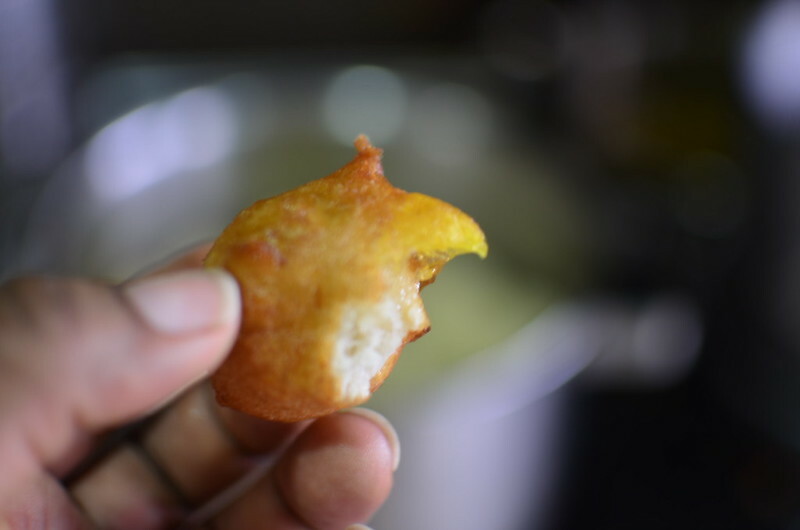 There are ten thousand ways to eat mangoes and this is just one of them. 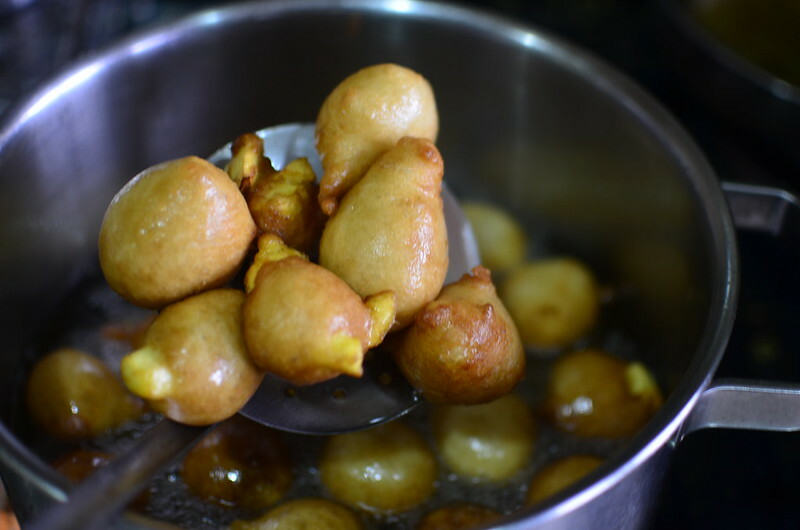 Add chunks of mango, tossed in sugar to puff-puff batter just before you fry. My go to would have been lime but I only had oranges, so I put some zest in the mix. 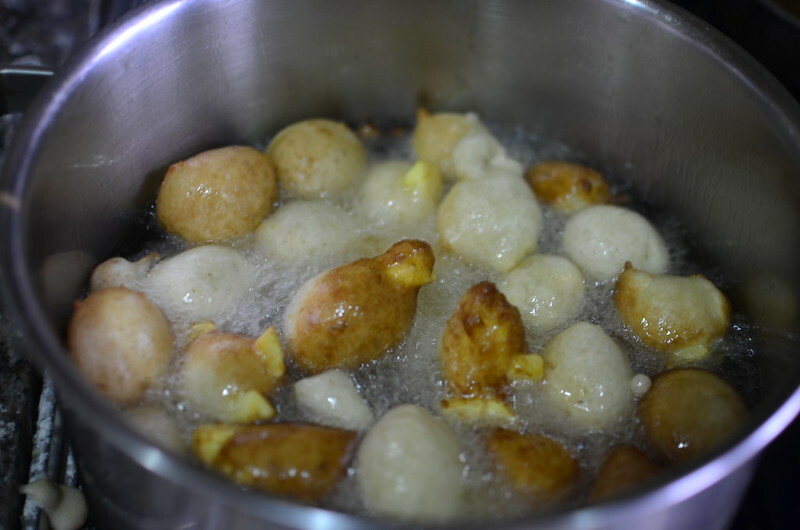 And then combined just before frying and shaping the spheres into life…in hot oil. They emerged, sporting eyes of orange. And yellow. 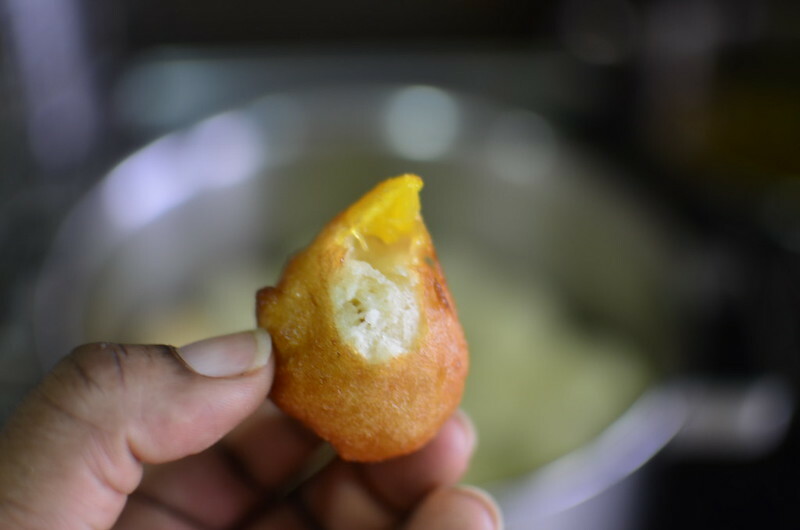 Firm mangoes gone soft and juicy and perfectly matched with the chewy puff-puff. Everyone loved them. At home and at the office. I took in a few. Purely for educational purposes. 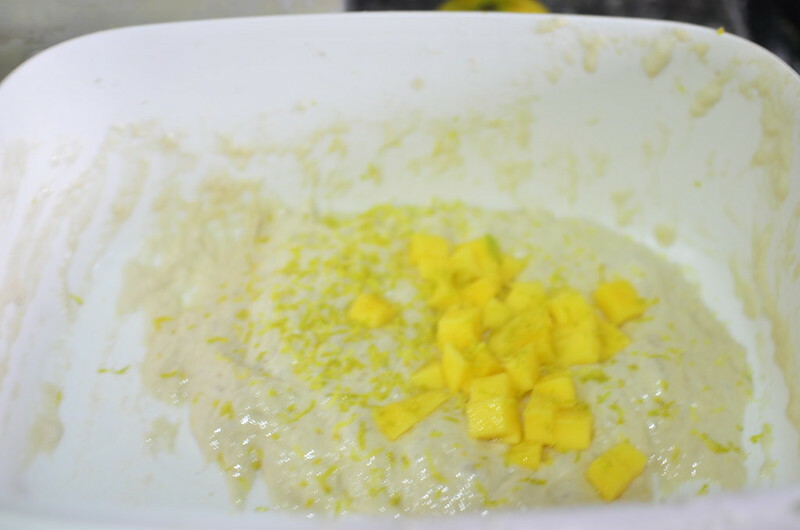 I liked them…a lot and now I have lime at home, might try again.